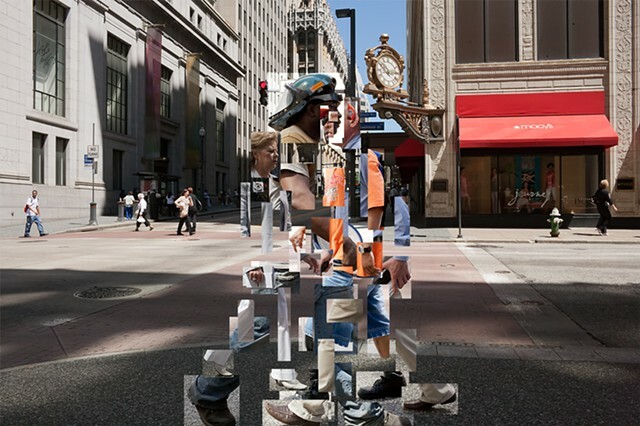 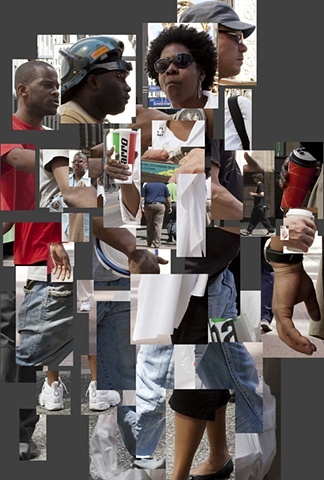 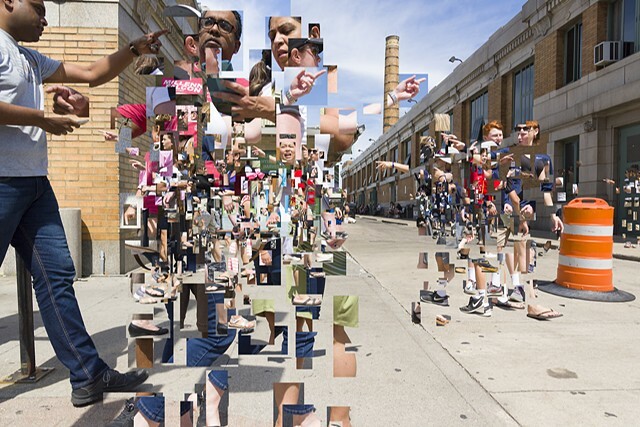 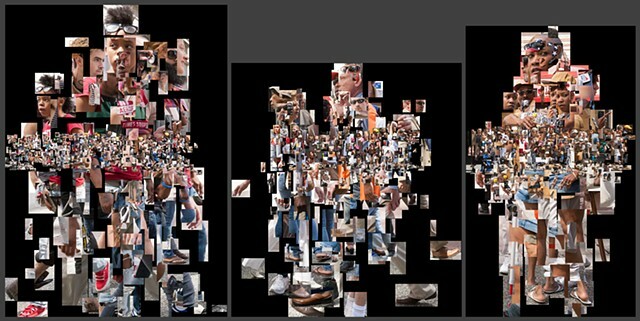 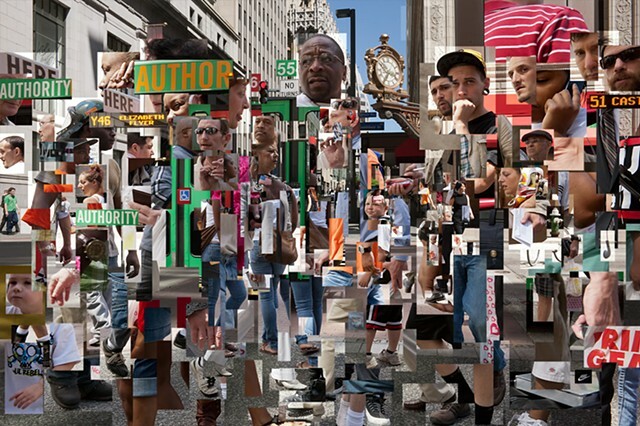 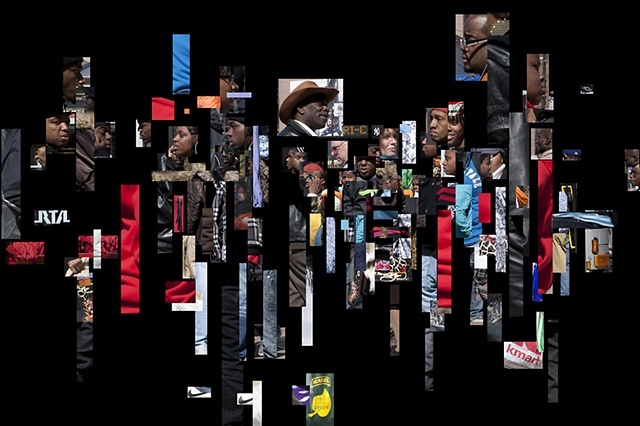 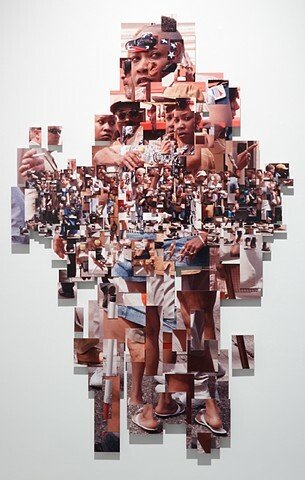 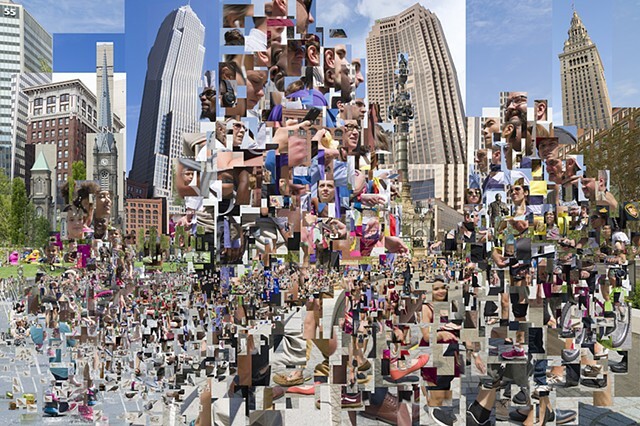 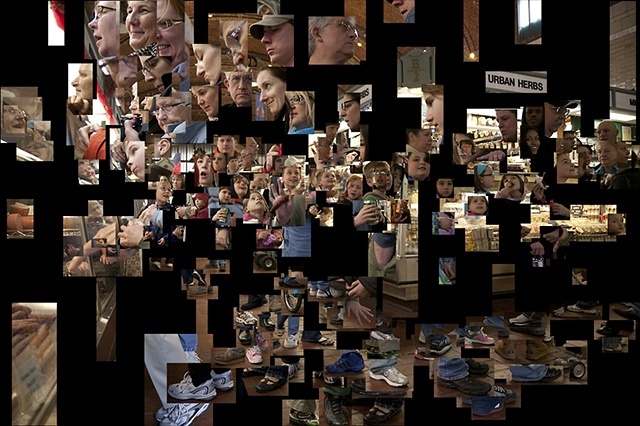 The Fragments of the Everyday series is inspired by the act of people-watching. 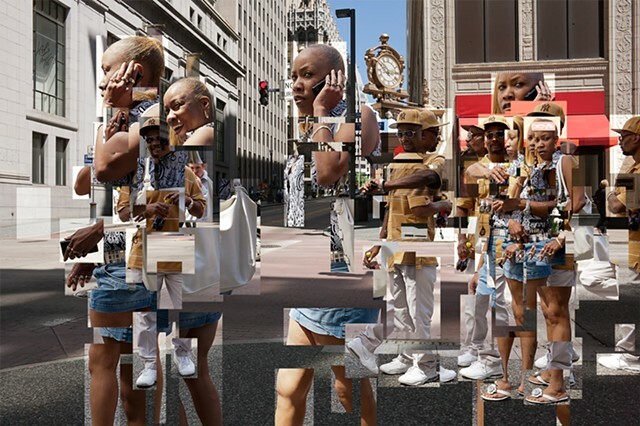 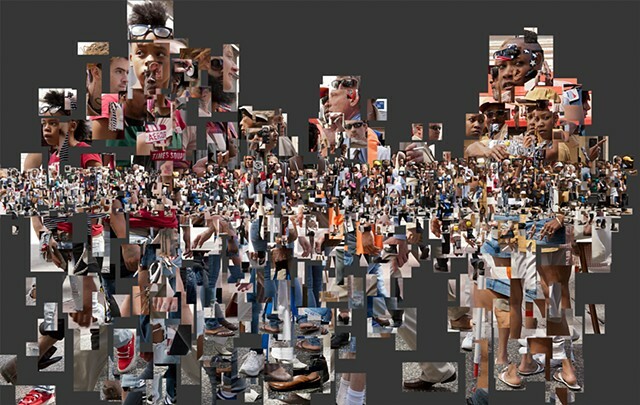 Together, the selected image fragments sidestep the expected, singular photographic moment while recovering an approximation of people-watching, informing a necessarily incomplete, open-ended, and biased synthesis of observed passersby within an everyday public space. 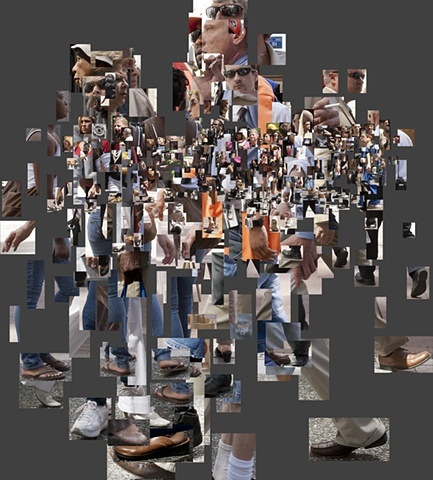 Just as in people-watching, I pick up on the most notable external signifiers of who those depicted are via their appearance, apparent relationships, and activities. 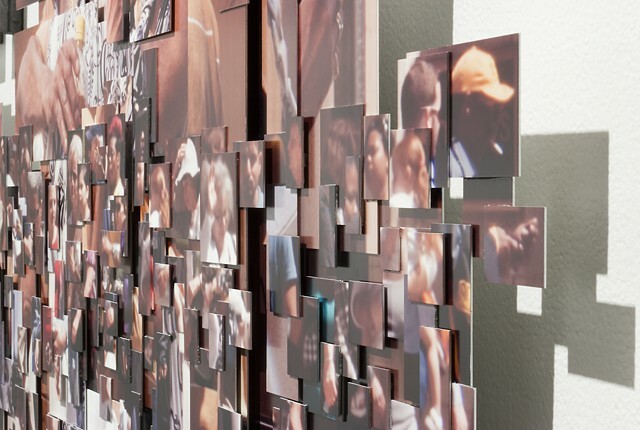 The resulting constellations of imagery represent social image-texts that withhold authoritative, quickly legible narratives in favor of slow, investigative reading. 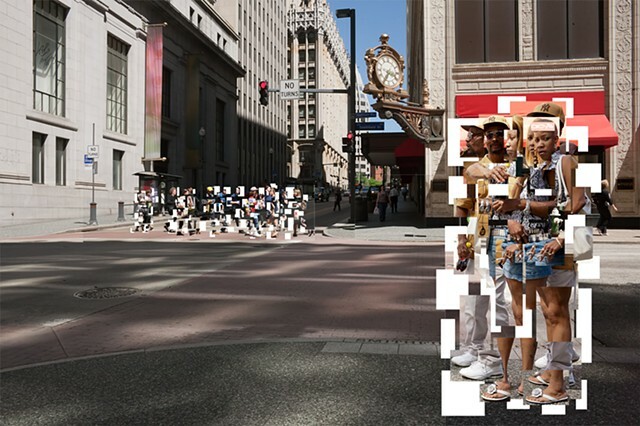 Viewers participate by reenacting the interpretive processes of people-watching, using the visual information and relative juxtapositions of provided imagery as clues to develop their own estimations of identities and narratives. 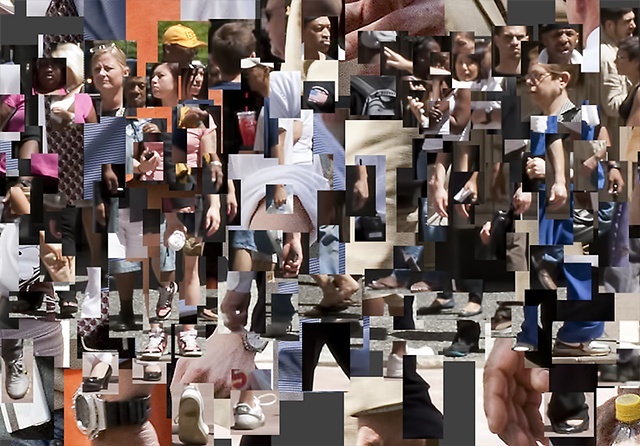 My hope is that the viewers understand they are actively constructing their view of Others from influential social paradigms in which we all participate and are responsible for shaping over time.